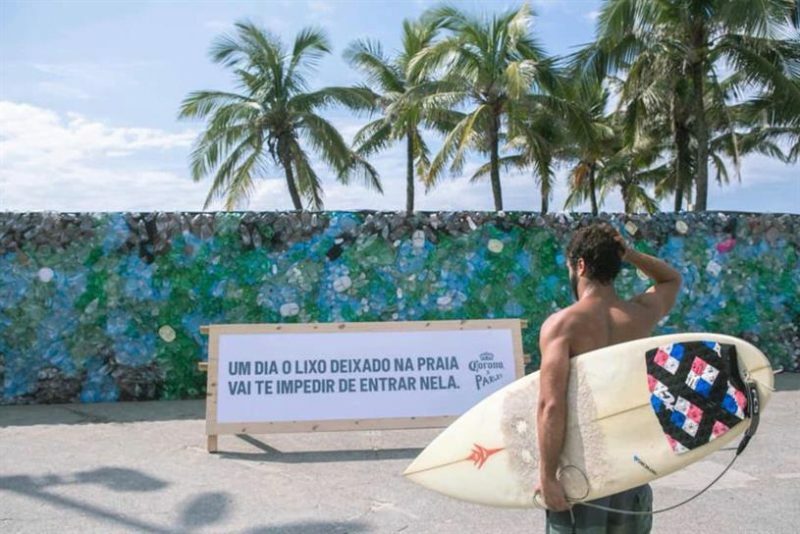 Beachgoers found the entrance to Rio de Janeiro’s iconic Ipanema Beach blocked yesterday by nothing less than an enormous wall of plastic. The stunt sees Corona collaborate again with organisation Parley for the Oceans, a charity that aims to raise awareness for the fragility of the world’s oceans. Last year the pair proved similarly effective in communicating the need to tackle and reduce plastic waste when they unveiled their ‘wave of waste’ installation in London to commemorate #worldoceansday.